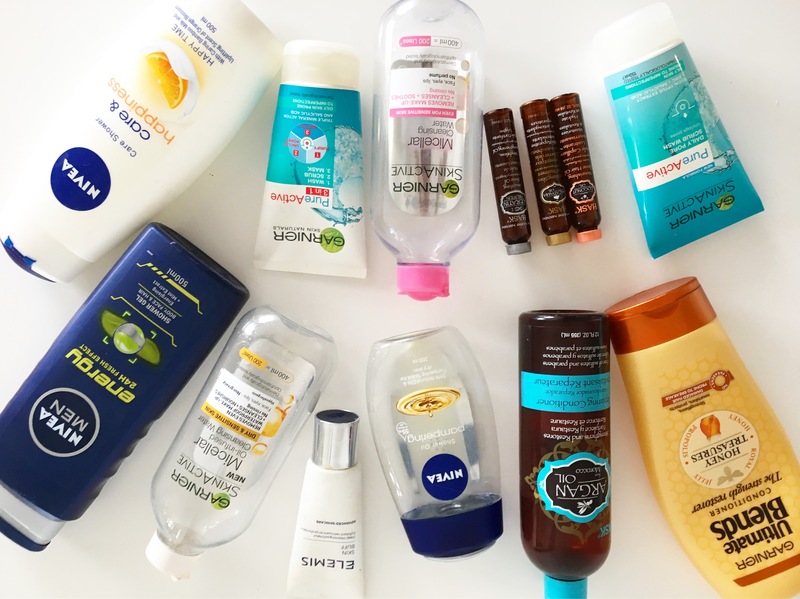 Today i post my first ever “Empties” post, i think i’ll be doing one every 3/4 months as that’s how long it roughly takes to get through each bottle etc. I will do a short feedback comment on each and if i will be repurchasing it. Its a range of Hair, Face and Body products from brands like Elemis, Hask, Nivea but mostly Garnier, can you tell which brand i love lol. 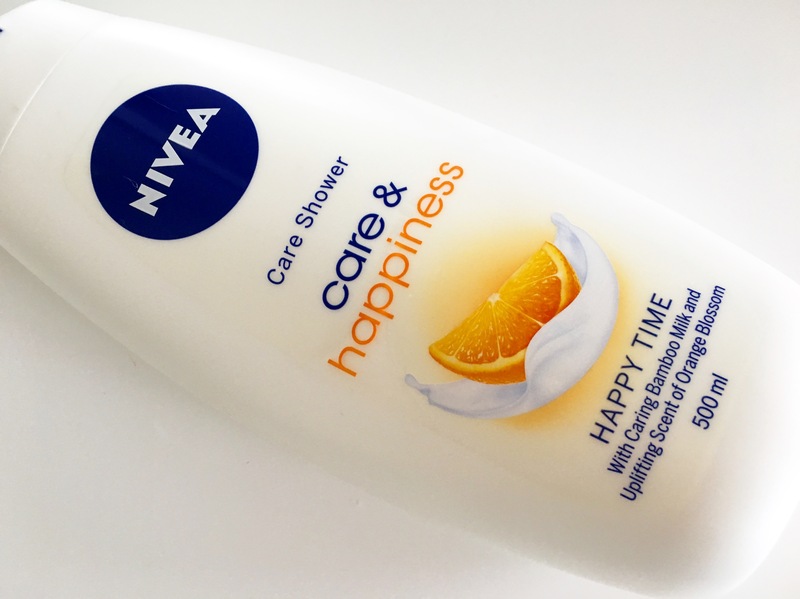 NIVEA Shower Cream Care & Happiness… i’m not one for Citrus scents, i prefer sweet or fruity like Vanilla, Strawberry, Peach etc but when i got this as a Christmas gift (2016) i completely fell in love with it. Its not overpowering with the Citrus scent maybe because its Orange Blossom and not Orange? I use this every alternative night when i shower, you just need a coin size amount on a loafer and you good to go. It leaves me skin feeling soft and moisturized. GARNIER Micellaer Water for Sensitive Skin and Oil Infused… I can’t ever imagine not having this product in my life!!! I use the Sensitive Skin one in the mornings as a toner after i have washed my face and the Oil Infused one to remove my makeup in the evenings. The best Micellar waters i have ever used. I also use the Pure Active one. 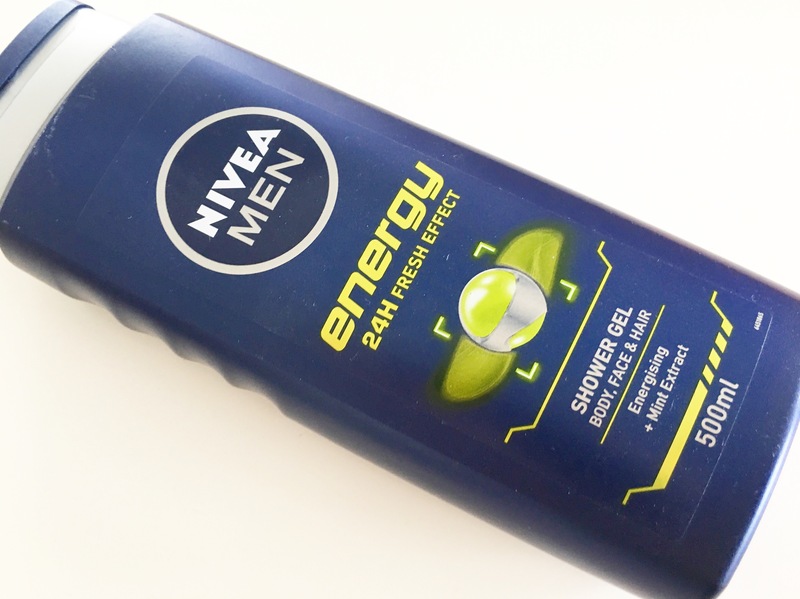 NIVEA Energy 24H Fresh Effect Shower Gel… I know this is a Men’s product but wow does this and the orange one (Sport) smell AMAZING!!! Its fresh and minty and such a change from the “Ladies” version. I don’t care what the label says i will keep using this product. HASK Hair Oils & Conditioner (& Shampoo not pictured)… One of the 1st reasons i picked this up was because they are sulphate and paraben free – and i had never used sulphate free anything before. They leave my hair feeling soft and moisturized right down to the end of every strand of hair. My hair is less dry and falls out less since i started using this brand. I put the oils in my hair the day before i need to wash it and let it do its magic for about 24hrs. ELEMIS Skin Buff… This wasn’t something i purchased myself but I got it in a press box from Elemis after attending an event. I used this 2 to 3 times a week. Its a gentle exfoliator that left my skin feeling clean and smooth and very gentle on my skin that didn’t feel like i had scrubbed off a layer of skin. 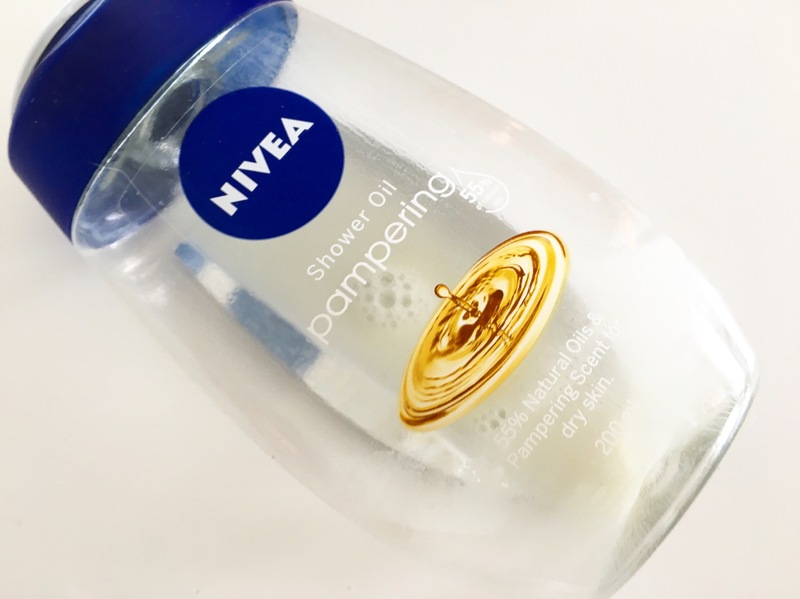 NIVEA Pamerping Shower Oil… I am a sucker for oils, hair, body, face etc and this baby is no exeption. There is no feeling like your skin feeling so smooth, so soft, makes me feel younger, i can pretend i’m 16 again for those few minutes lol. Its like it gets deep down into your pores and moisturizes from the inside out. GARNIER Pure Active 3 in 1 and Daily Pore Scrub Wash… I have a love affair with Garnier especially when it comes to their face products. Currently on my Bath / Shower Shelf is about 5 or 6 different Face Washes/Scrubs/Mask combinations. The 1st one is a white colour, thick consistency with blue exfoliating particles and the 2nd one is clear, thinner consistency with blue exfoliating particles. Both are great and my skin has never felt or looked better since using these. 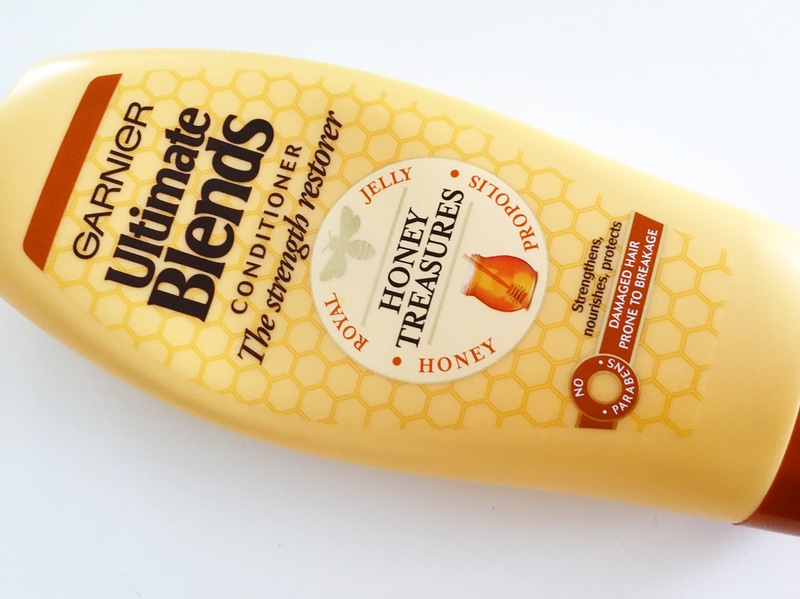 GARNIER Ultimate Blends The Strength Restorer Honey Treasures Conditioner… When i heard Garnier was bringing out a hair range i COULD NOT WAIT. I have tired a few ranges, the Coconut Oil/Cocoa Butter, Argan Oil/Cranberry, Avocado Oil/Shea Butter but by far the Honey Treasures range is my favourite!!! Just in general I really enjoy Nivea as a brand, especially their body care and bath products 🙂 I like to use the Garnier micellar water as a quick cleanse in the morning some day as well.